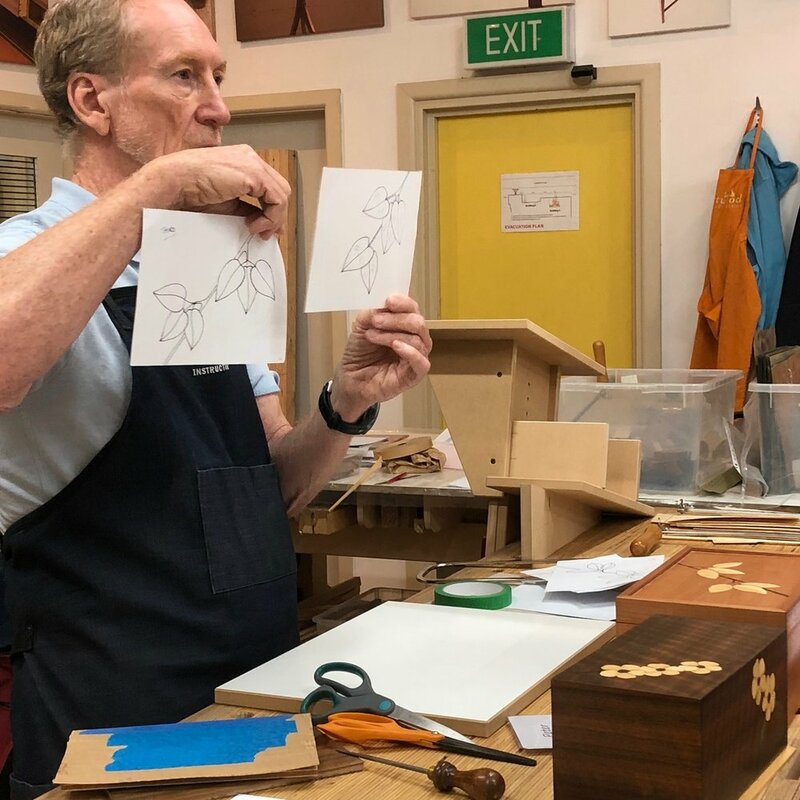 Woodworking Short Course Sydney at Heartwood Creative Woodworking in Marrickville. Short courses are a great way to learn specialist woodworking skills. See below for images representing some of our short courses. 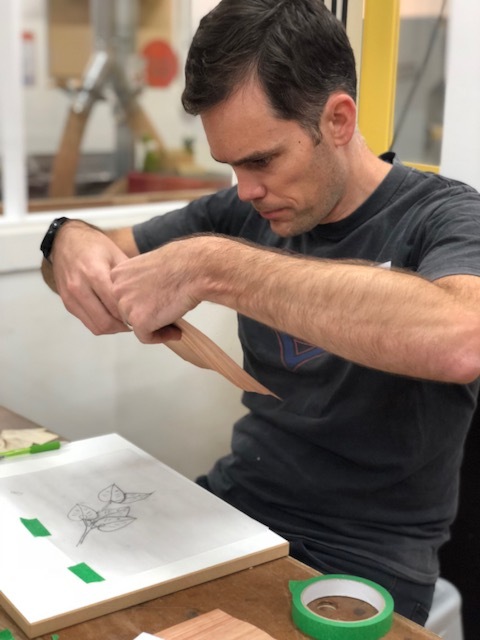 Peter Young is an accredited member of Studio Woodworkers Australia and one of the country's leading proponents of the double bevel marquetry technique. 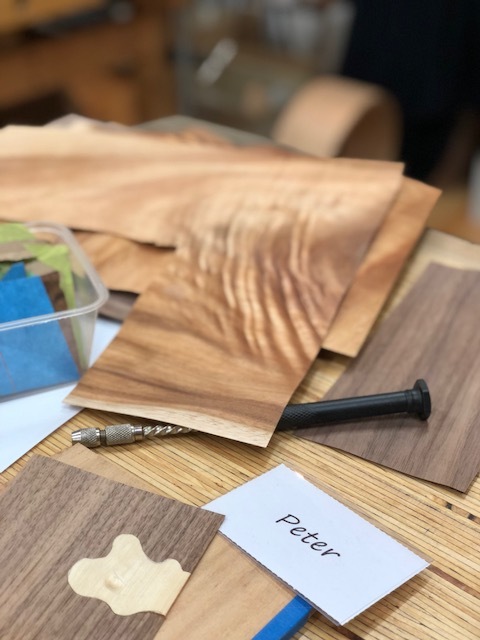 During his course Peter skillfully guided participants through the process of cutting veneers and sand shading. Two pictorial images suitable for inclusion into a box or similar woodworking project were complered over the two days. Working with the designer of Mybench and owner of Heartwood Creative Woodworking, participants have cosntructed their own woodwork bench to suit individual space requirements and work height. Proud bench owners agree they have a greater appreciation for bench design and construction having made their own bench and everyone took away with them tips and techniques on how to get more out of the worksurface and holding options offered by Mybench. Hape Kiddle is a Griffith based Master Carver and Jewellery and Object maker. Carving from an early age, Hape's aesthetic can be seen in the forms he creates that link him to the natural environment. 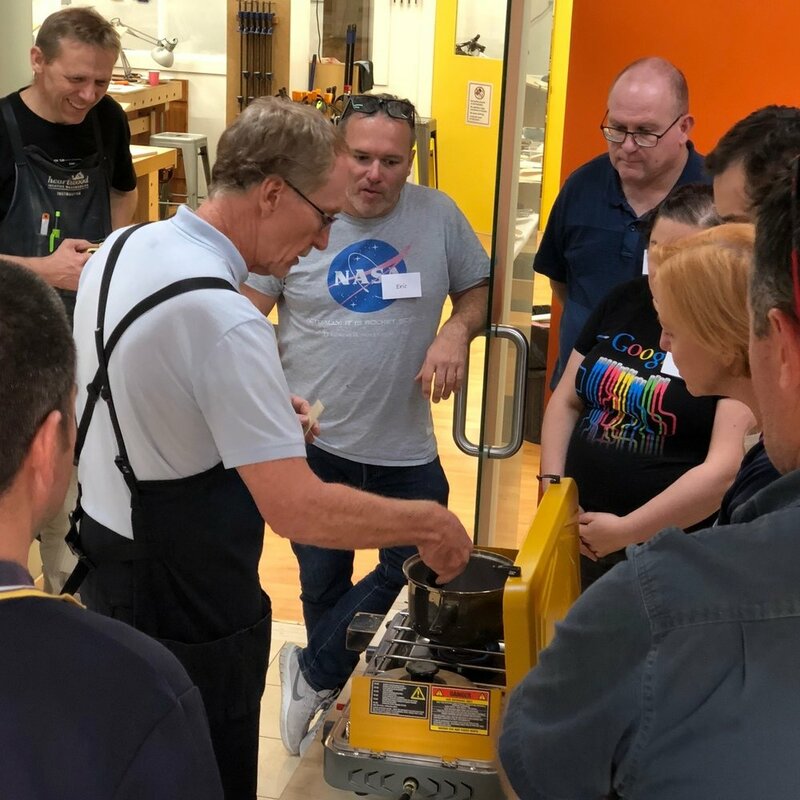 Hape's course was the perfect opportunity for participants to immerse themselves in the contemplation of process and material as well as the opportunity to learn from an inspiring teacher. Using our custom made steambox students were introduced to the traditional technique of steambending to make a set of three Steam Bent or "Shaker Boxes" in graduating sizes. Boxes were cut, pinned, shaped and fitted and then finished with shellac. Fiona Glover of "Twig to Table" is a Canberra based maker. Her spoons and serving utensils can be found at Craft ACT, the National Library and Meet Gather Collect in Canberra. In the one day course participants were able to choose from a variety of timber to create a scoop, serving spoon or large cooking spoon and Fiona demonstrated a number of different approaches and tools to use when carving a spoon. Participants bought along pre-loved and new hand tools and were shown a number of different techniques to restore and sharpen them. Stuart first ran this course in 1998 and continues to research the holy grail of woodworking ie. the perfect sharpening system.